A BOX OF 12 CERAMIC MEDICINAL CANDIES. 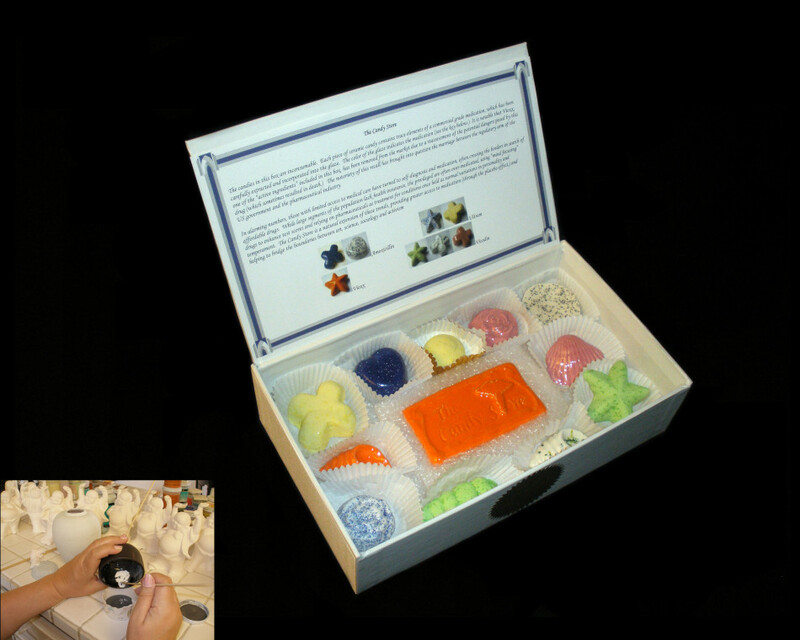 Each “candy” has a medicine ground into the glazes and can be identified using the descriptive key enclosed in the display box. Or use them as talismans for what ails you and carry them in your pocket or in one of our specially made medicine bags. Click here for full project description. *Not consumable, not for children. Price: $500 (plus tax and shipping).